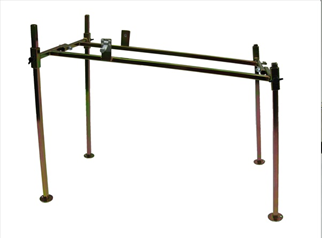 This stand fits both the 24″ and 30″ compact sluices boxes. Sluice is held by 2 spring-locking clips. Fold down to 8″ x 23″. Comes with 4 independent (Two 16″ and two 20″) legs. Fits the 7″ X 2.5″ Sluices Only.